Chobani says reports by the New York Post of turmoil at the Greek yogurt company, based on allegations from unnamed sources, are false and rresponsible. Reports by the New York Post this week of turmoil at Greek yogurt maker Chobani and the alleged ousting of Chobani founder and CEO Hamdi Ulukaya as chairman of the board are absolutely untrue, according to a Chobani spokesman. The Post’s story, citing unnamed sources, is “irresponsible reporting,” Michael Gonda, Chobani’s director of corporate communications, said in a telephone interview Wednesday. With the New York Post, “truth never gets in the way of a good tale,” he said. The Post reported Jan. 6 that Ulukaya was being replaced as CEO, and that a recall of Chobani yogurt in the third quarter of 2013 caused financial turmoil that stretched into the first half of 2014. Gonda said there was “no news at all” in the Post’s reporting. The claim that Ulukaya is searching for a CEO is accurate, but that was reported in April of last year when the company announced it was raising capital for expansion, he said. 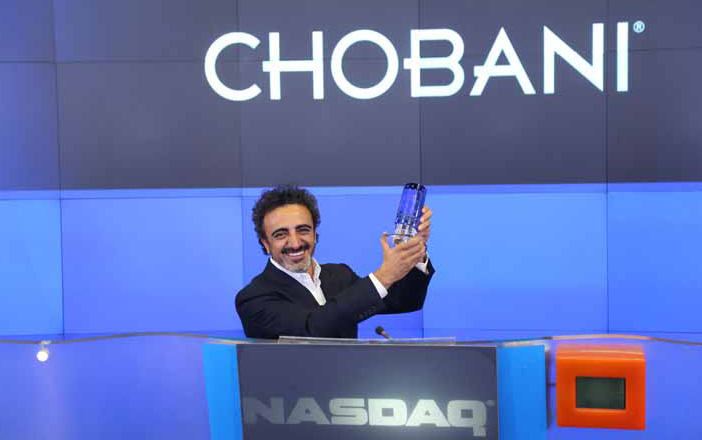 On April 23, 2014, Chobani announced it had secured a $750 million investment from TPG Capital, a leading global private investment firm, to help fund future growth, expansion and innovation. “That is absolutely not true,” Gonda said. “Hamdi is Chobani’s owner, founder, CEO, and chairman of the board. It’s Hamdi’s decision to make,” he said. In addition, Ulukaya will remain chairman of the board and will remain involved before, during and after a new CEO is selected, he said. The Post also reported that “TPG execs are still scrambling to reverse financial wreckage” from Chobani’s product recall, which in fourth quarter 2013 spurred negative Ebitda – earnings before interest, taxes, depreciation, and amortization – of $87 million. The Post reported the company continued in negative Ebitda territory over the first half of 2014 and faces more financial turmoil if it doesn’t meet its 2015 targets. Gonda declined to comment on the private company’s financial figures for the fourth quarter of 2013 and the first half of 2014, but said Chobani has shown positive Ebitda for the past six months, has increased market share for the last four Nielson periods, has made strong distribution gains, and is positioned for a strong 2015. The Post’s depiction of financial and operational turmoil is “absolutely false,” Gonda said. The company has several new products coming off the line in January alone. Every product is launched with Ulukaya’s approval, and the investment by TPG supports the company’s goal of new product platforms to continue to grow, he said. “Our plan is working, and starts back with the capital raise. We’re seeing significant indicators of performance and growth,” he said. Chobani is the No.1 yogurt brand in America, and the company sees considerable opportunity to grow the category, even doubling it in the next five years, Gonda said. The company’s plant in Twin Falls, Idaho, is the largest yogurt plant in the world, is fully optimized with new and highly experienced leadership and is at full capacity per the original design, he said.